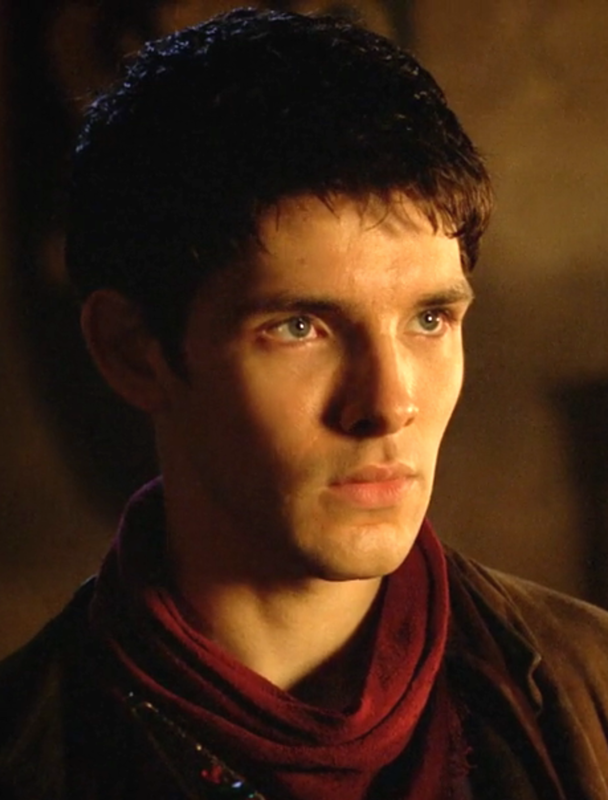 Colin Morgan as Merlin in the BBC’s The Adventures of Merlin. In November of 2013, I was madly scribbling my way through a National Novel Writing Month (NaNoWriMo) draft of my second novel, A Matter of Time, anxious to hit that 50,000 word goal in the 30 days allotted. I was also high off my recent trip to London, in which I’d not only gotten to visit many famous Regency places I’d read about, but in which I also met and received a high-five from Colin Morgan, the British actor who played Merlin (brilliantly, I might add) on the BBC show of the same name. I’d had, uh, more than a passing infatuation with the show and its two lead characters, Merlin and Prince Arthur, for nearly a year. I was neck-deep in a fandom, and loving every minute of it. I still do, and still hold great admiration for the acting talents, and yes, the visual appearance of Colin Morgan and Bradley James. So it only seemed fitting, as I typity-type-type-typed my way through chapter after chapter, that I add in characters that might bear more than a passing resemblance to those two fine men. I put them in as a lark, figuring it would amuse my best friend, who was reading what I wrote as fast as I sent it to her. I’d take them out later, surely. 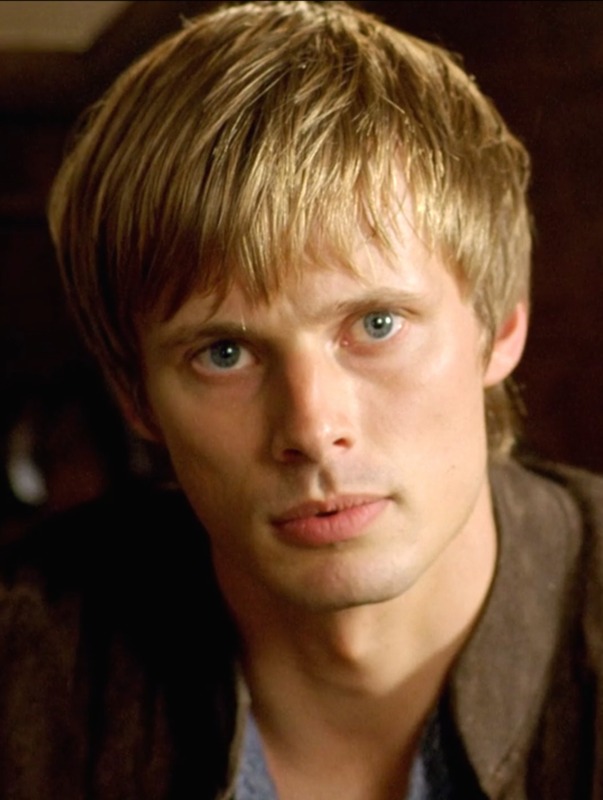 Bradley James as Prince/King Arthur in the BBC’s The Adventures of Merlin. But…but…instead of whittling the characters down, I expanded them. Made them the perfect foil for the occasionally-a-little-too-broody Deveric Mattersley. I gave them names: James Bradley, the Duke of Arthington, and Morgan Collinswood, the Marquess of Emerlin. I added in a few Merlin Easter eggs for anyone who’s seen the show. And I fell in love with them all over again. After a few moments, two gentlemen—one a tall, lanky fellow with a mop of black hair, the other a bit shorter and more muscular, with sandy blonde hair and a square jawline—approached. “Lady Amara,” the blonde one said. He nodded toward Deveric’s sister, but his sky-blue eyes fixed on Eliza. Wow, they really knew how to grow them in the Regency. His exquisitely carved lips parted into a snaggle-toothed smile that somehow rendered him even more appealing; men with perfectly straight, obsessively white teeth always seemed unnatural to her. She peeked at the taller one. He was perhaps not quite as classically handsome as the blonde, but his wide-set blue eyes crinkled as he greeted Amara, his lips cracking into a grin that revealed dimples to die for. 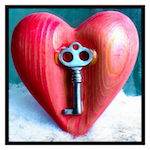 So – what do you think? Did I do them justice? 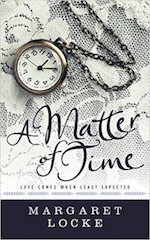 And if you read A Matter of Time, I’d love to hear what you think – and what kind of women you feel the two men ought to end up with (sorry, Merthur fans – in my future novels, they’re getting the girl!). 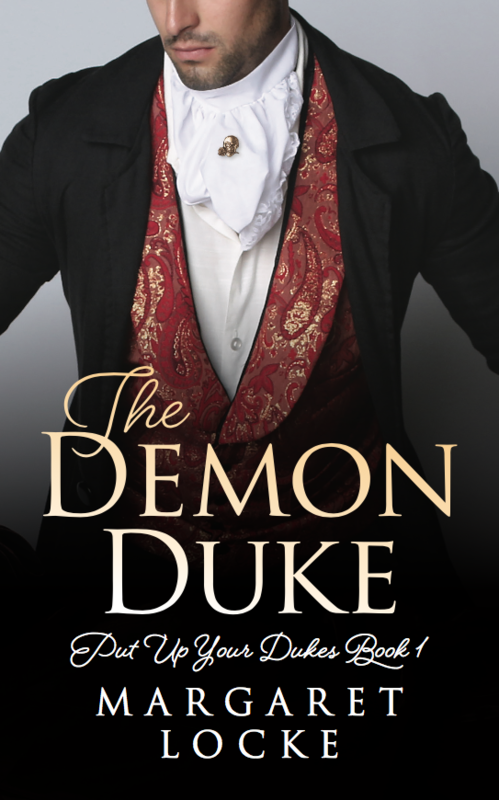 A modern-day Austenite’s dream comes true when she lands in the arms of a Regency duke, only to discover some fantasies aren’t all they’re cracked up to be when he proves less than a Prince Charming.